A revolution in storytelling for TV, cinema, VR, and related forms of entertainment has just begun, enabled by artificial intelligence (AI). This computer-science and engineering-based technique, including machine learning, deep learning, language understanding, computer vision, and big data - is poised to dramatically shake-up both production and the form of future content for entertainment. “There has been a real need within the M&E industry for a workable AI solution that is ready to be deployed at scale, delivers a measurable return and can withstand the stresses of a relentless, demanding modern workflow,” says Jason Coari, Director, Scale-out Storage Solutions at Quantum. Media and entertainment users are now leveraging cognitive services and applications to extract new value from their video and audio content, including massive stores of archived content. Quantum’s solution, in partnership with Veritone, searches for the most appropriate, best in class, AI engine for the task required, and then automates the service to help unlock any unrealised value of an organisation’s media content. The most obvious, perhaps universal, benefit of AI, is to automate more of the processes required to sift, assemble and distribute content at scale. Producers are being challenged to create better, high-quality, compelling content which is being shot at increasing ratios, frame rates and resolutions. According to Coari, this is making it more difficult to monetise all the valuable assets an organisation holds, primarily because there is not enough metadata associated with all of this media to assist content creators finding what they need for their work. “Implementing AI into the workflow speeds up the process and enables more extensive metadata tagging upon ingest to make the video and audio files easier to find,” he says. The natural next step to automated production is automated publication of personalised media experiences. Tedial claims we are already here. 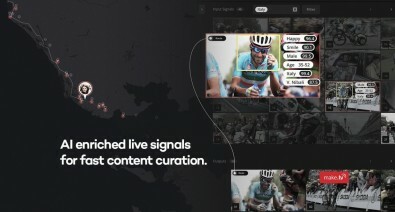 Its sport event tool Smartlive uses ‘AI enhanced’ logging to automatically create highlight clips and pitch them to social media and distribution. 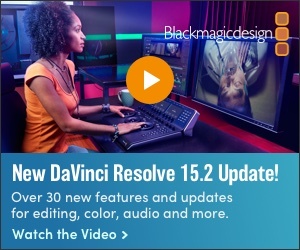 “This extends the abilities of current live production operators to manage hundreds of automatically created stories,” says Jay Batista, general manager at Tedial (US). At the moment, AI is not accurate enough to operate without human intervention. In the case of iconik’s AI framework, the user can set rules so that, for example, any metadata tag with a confidence level below, say, 50% is discarded, anything above 75% is automatically approved, and anything else is sent for human approval. “AI-based technology will make mistakes, but the best thing about it is that it will learn from them and become more accurate over time,” says Parham Azimi, CEO, Cantemo. IBM suggest that AI is intended to be a resource, rather than a replacement, but already its Watson AI has selected clips for assembly of a trailer for the film Morgan. At the World Cup, IBM worked with Fox Sports to debut an online tool for playing and sharing highlights from this and previous World Cups going back to 1958. Watson uses acoustic, visual, and text-based machine learning to produce metadata for game videos, which is then used by editors when creating clips and viewers when searching for highlights. These are steps on the road to fully automating the production of scripts, storyboards, video streams, and sound tracks. At first, ‘the machine’ will assist producers, directors, and artists in producing content, but, as in many industries, this will progressively assume a more comprehensive role. “The risk and challenge lies not in our ability to move certain types of programming to an automated process, but rather the loss of editorial judgement that can change based on external factors,” suggests David Schleifer, COO, Primestream. “Systems that produce content in this manner will adhere to specific rules and as a result will produce consistent content that will never challenge us to get out of our comfort zone. The risk with news is that our already polarised culture will be exacerbated by automatically generated clips/news, delivered to people based on social media preference and profile. “While the process could be tuned to give more balanced content, the money will be in giving people what they want which will lead to reinforcing an opinion rather than informing,” says Schleifer. Paul Shen, CEO, TVU Networks thinks that with the growing capability of technology to collect every bit of data to analyse consumer behaviour, it could one day become plausible to create a formula for how content should be produced based on the target audience. In the meantime, TVU is promoting its MediaMind Platform as a means to transform raw media assets “from passive ingredients in to active agents”. “With Media 4.0 or Enabled Media, someday programmes will be created automatically to cater for different consumer tastes,” Shen says. Cantemo's iconik AI infused MAM. Right now, AI-based media management solutions can already determine whether a scene or piece of footage is sad, happy or funny. 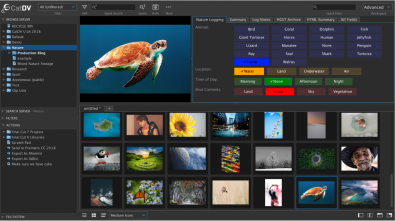 This is, of course, beneficial when automating the creation of content for assets like film trailers which can be done in a fraction of the time. But in the future, automated sentiment analysis - the ability to search based on a video or audio clip’s emotional connection - could have much bigger implications. The Internet of Things (IoT) is another opportunity where it could be possible to serve content suggestions to users based on the emotional mood of a viewer. On a larger scale, AI frameworks could also present different types of video assets depending on the mood of the user base, i.e. by determining if the broader audience is happy or sad. AI allows for non-linear adaptive storytelling that might yet provide exceptional user experiences, ideally taking into account the user’s state of mind such as emotions and gaze. Studies have shown that it is possible for AI systems to set a standard ‘mood’ index for a certain region based on tweets, forums and other social media posts. According to Azimi, this gives broadcasters, marketers and anyone else looking to engage with the public a better understanding of their target audience and the best way and time to communicate with them. Piksel has investigated automated sentiment analysis through some proof of concepts and its use in content recommendation based on customer habit. Yves Bergquist, ceo at AI firm Novamente informed NAB that he is creating a “knowledge engine” with the University of Southern California in order to analyse audience sentiment across TV scripts and performance data.